We would like to share some pictures and share the feeling of Indian people about this movement from all over India ( Bharat ). 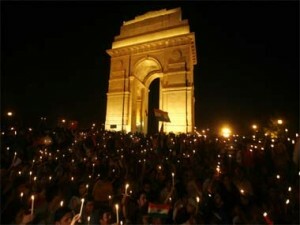 Delhi : City from where the movement started ( 16 August ). Anna, who has already started his fast, has been taken into preventive custody along with Arvind Kejriwal. Meanwhile, Kiran Bedi and Manish Sisodia, other two close aides of Anna also have been detained around 7:25 am on Tuesday. Detailed : The centre of action has shifted from J.P. Park near ITO in Delhi to the Chhatrasal Stadium in capital’s north, where the CRPF was deployed on Tuesday, after anti-corruption crusader Anna Hazare’s arrest. Hazare was arrested in the morning ahead of his fast over a strong Lokpal Bill. The stadium is being used to hold supporters of Hazare. 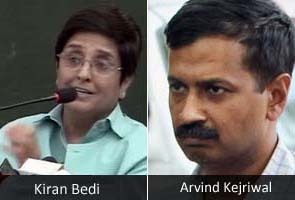 Team Anna members Kiran Bedi and Arvind Kejriwal are also in the stadum. The stadium has a capacity of 16,000 people. 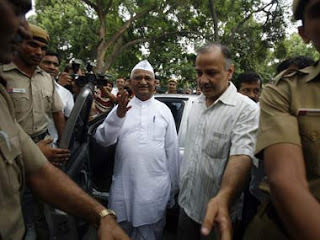 Anna himself was being moved from a guest house in Civil Lines for a medical check-up. He was likely to be shifted to Tihar Jail as a duty magistrate has been called in to Tihar. Heeding to his jail bharo call, several supporters have decided to refuse bail and go to jail. In fact, Bedi has already tweeted that she will refuse bail and go to Tihar Jail. Mumbai : Over 3,000 people have been picked on the charges of unlawful assembly from across the city today after they held demonstrations protesting against the police action against activist Anna Hazare, hours before he was to launch his fast against corruption, police said. Punjab And Haryana: Supporters of social activist Anna Hazare sat today on a hunger strike, took out protest marches and held dharnas at various places in Punjab, Haryana and Chandigarh in protest against the arrest of the anti-corruption crusader and other civil society members. A day long hunger strike was observed in Phagwara town of Punjab by the Parshuram Sena in Guru Hargobind Nagar area near Improvement Trust Office. Lawyers belonging to the Bar Association Phagwara, headed by Advocate Varinder Sharma, observed No-Work Day today to protest against Anna Hazare’s arrest. 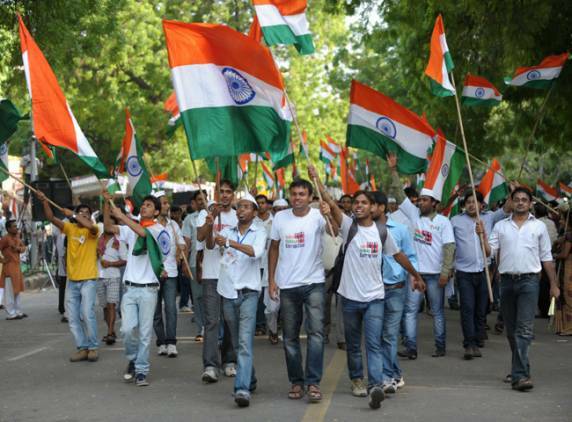 UP & Bihar : Students of various educational institutions, including Patna Medical College Hospital, Patna College and other technical institutions took out processions in the state capital in support of Anna. State JD (U) president Vashishtah Narayan Singh, former Bihar minister Ramnath Thakur, Bardi Narayan Lal along with the hundreds of party workers, took out a procession from JD (U) office in support of Anna. Some of the academicians too vented their anger on the most vexed issue of corruption. Some prominent personalities of the Bollywood, including Manoj Tiwari, termed the arrest as an attack on democracy which people will never tolerate. 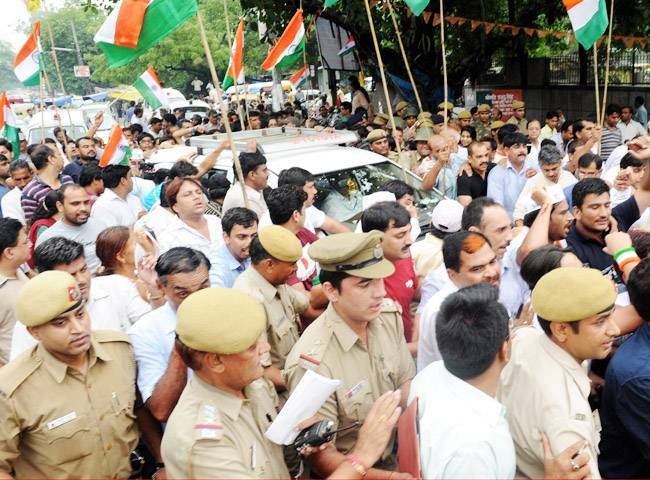 Hundreds of the supporters of Anna were detained from the R-block as they were insisting to meet the Bihar Governor. Rajasthan : Demonstrators responding to social activist Anna Hazare’s call today, courted arrest in Ajmer, even as dharna and demonstration were held at several places in Rajasthan to express solidarity with the Gandhian who was arrested in New Delhi this morning. People from different outfits and walks of life gathered at the Gandhi Bhawan in Ajmer, carried out march to the Collectorate, held demonstration and about 50 people, including some BJP councillors, courted arrest there. A group of students also held demonstration at Bajrang Garh square and held dharna, a report from Ajmer said. In the state capital here, more than 200 people from different organisations, including Samagra Seva Sangh and Arya Samaj, gathered at the Udhyog Maidan near Statue Circle to hold dharna in support of Anna. Arya Samaj activists carried out procession to join in the dharna. The arrest of anti-corruption crusader Anna Hazare triggered massive protests and demonstrations all over India where people took to the streets, agitating against Anna s arrest during the day. Aggrieved at the arrest of Anna, hundreds of people including academicians, politicians, students and commoners hit the roads to vent their anger against the actions of the Central government. The slogans “Anna tum sangharsh karo hum tumhare saath hain “(Anna we are with your struggle) were heard everywhere in the state capital as his supporters carrying banners depicting Corruption-Quit India , tricolours and posters with the photographs of Anna, shouted slogans.